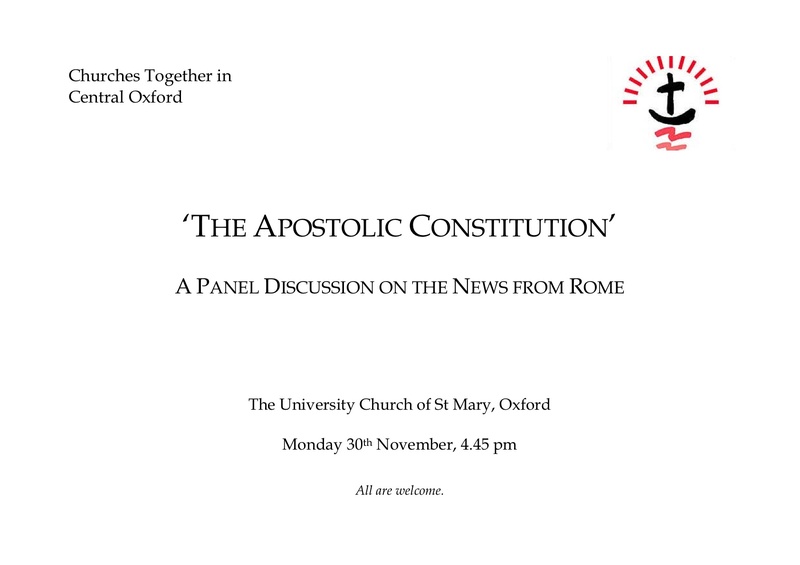 A discussion panel on the ‘News from Rome’ is to be held in the University Church in Oxford on Monday 30th November at 4.45pm. . The panel is to be chaired by Canon Brian Mountford vicar of the University Church. Questions will be welcomed. Anyone wishing to raise a particular issue, or to make a brief statement, is welcome to send an e-mail beforehand to: john . paton @ chch.ox.ac.uk .